Prepare “good” questions prior to the meeting Have you ever been part of a discussion that went absolutely no where? 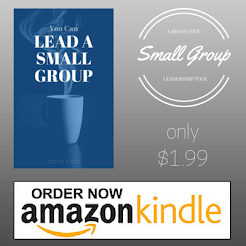 One of the most important tasks a small group leader needs to execute is GOOD PREPARATION. If your group is going to engage in a good discussion, that will ONLY HAPPEN if you are willing to take the time beforehand to prepare good questions. 1) Plan. Set aside ample time for preparation. This time will include prayer, study, contemplation, and writing so 15 minutes before your group meeting is probably not enough. You need to set a time, block it off on your calendar, and honor that commitment to yourself. 8. Don’t be afraid of silence. 9. Deal with discussion killers. 10. Be a facilitator, not an expert.